I saw it on the Simply Be website and knew I would need to try this beauty, to see if the bib detail (which looked like the button detail stretched to the waist) would work on my bust. I'll be honest, I was also suspicious that the material would be more on the polyester end of the scale, and wanted to check that out too! It arrived when I was in Turkey (which was sad as I wanted it to be one of my options for the Turkish weather) and I actually only got round to trying it on on Sunday. Once it was one though, it was was ON! I wore it briefly to go shopping with Mam, and then to work today. This is the type of dress 22 year old Kathryn would have LOVED. She would have worn it dancing, and fitted perfectly into the 60s aesthetic. And I felt amazing trotting about the office in it today. Bare arms be DAMNED! 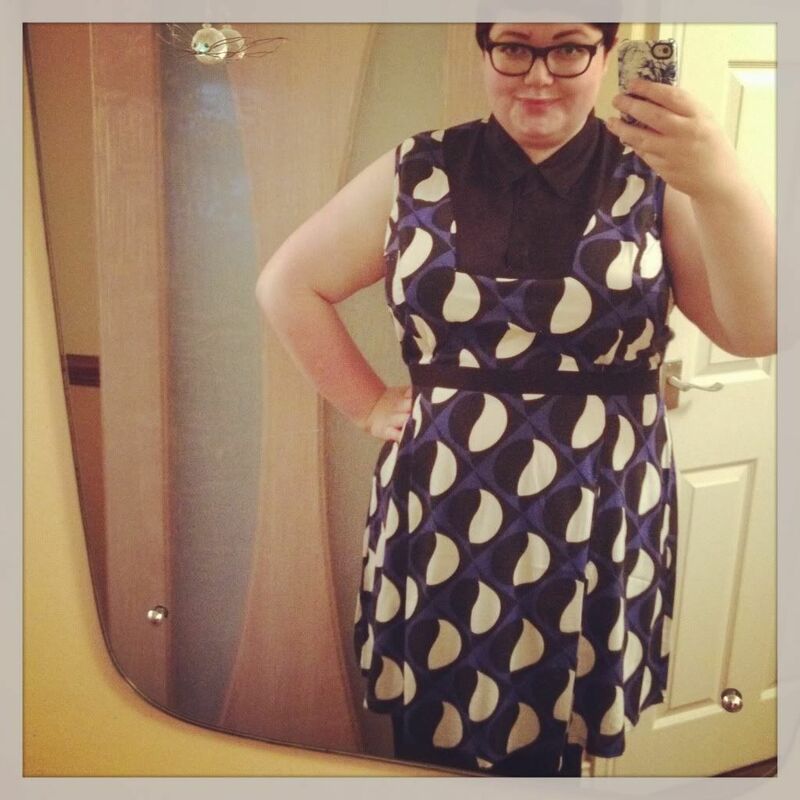 And okay, so the cut of the dress is not really a shift dress, but the print, and the style is enough for this Mod! 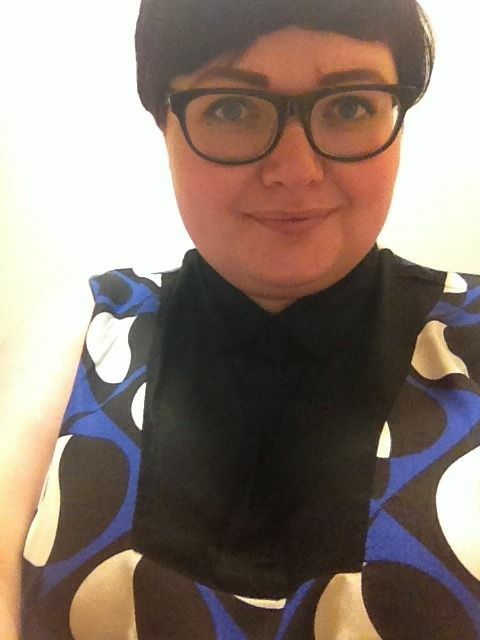 The bib detail is a great little addition, and I can't tell you the last time I wore a collar buttoned up to the neck! 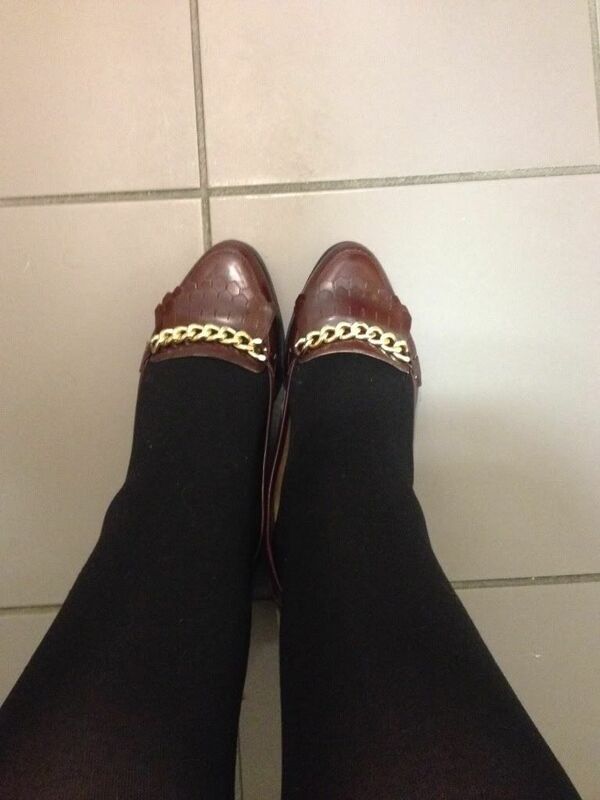 I paired this with my trusty tights from Tesco, and my lovely new loafers from the Wide Fit section of New Look. This Simply Be dress is now £28, and these shoes are now £12 - go grab yourself a bargain!